Hey lovelies, I hope you’re enjoying your Memorial Day weekend! Looking for some new updates for your wardrobe this summer? 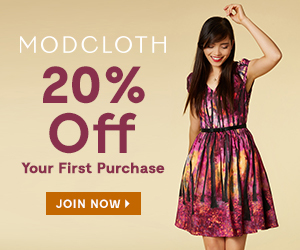 ModCloth‘s got ya covered with bold blouses, sassy skirts, posh pants, and awe-inspiring accessories. Give your work wardrobe the promotion it deserves, and you’ll be the ‘Chic’ Executive Officer in no time flat. Feeling patriotic but need a more little red-white-and-blue in your life? 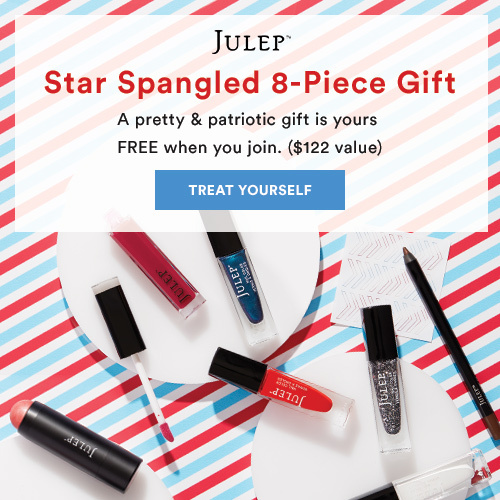 Let FREE-dom ring and get this Star Spangled 8-Piece Beauty Gift when you join Julep and pay for your first month ($24.99). That’s a $122 off free beauty! After you join, you’ll get a box of gorgeous and good-for-you beauty, nail, or skincare products delivered to your door every month. Julep offers the only full-size and fully-customizable beauty box out there, so you get what you want every month! Get your Star Spangled 8-Piece Beauty Gift today! Use promo code FIREWORKS to get your free gift when you pay for your first month of Julep ($24.99). Happy Shopping and HAPPY MEMORIAL DAY! Hey lovelies, as a stylist there are a few things I tell my clients are an absolute must-have when it comes to your wardrobe. Among many things such as a white button down, well-fitted blazer, fitted pencil skirt, and nice wide leg trousers, basic tees are right up there in my top 10 must-haves. Have you ever stood in your closet and thought to yourself, “I have nothing to wear!” Lord knows I have. If you happen to love colors and prints like I do, you may often find yourself wondering how in the world you can create an outfit when EVERYTHING is statement-making! In the last few years, I have stocked up on basic tees in of course black and white, but I’ve also got a few in color as well such as olive green, pale pink, and gray. Basic tees can make creating an outfit a breeze and they look great with everything! Those must-haves I just listed above? 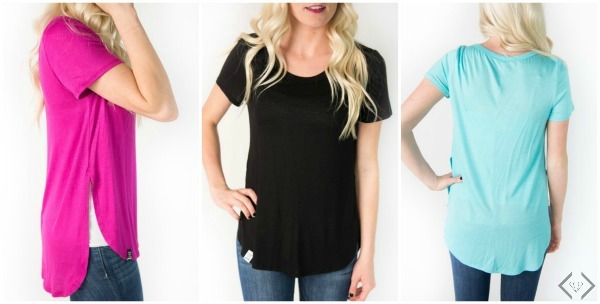 The basic tee will go fabulous with all of them! Yep, picture the tee with a fitted blazer, pencil skirt, or wide leg trousers. See how this can easily create a great look? As they say in fashion, if it looks effortless and like you didn’t even try, you’re doing it right! The basic tee is the great way to make anything you wear look completely effortless! The juxtaposition of a casual t-shirt and something dressed up with it is (if you ask me) the ultimate styled-look! Here are some of my favorite basic tees and be sure to check out below for a great deal on them TODAY ONLY! TODAY ONLY- Get the Perfect Summer Tshirt for $15.95 & FREE SHIPPING w/code TUNIC16. Shop the Super Soft Basic Tee Sale here: Style Steals – 5/25/16 – Perfect Summer Tunic for $15.95 + FREE SHIPPING w/code TUNIC16. *Additionally, at checkout we will be offering the perfect pendant necklace to compliment our tunic. 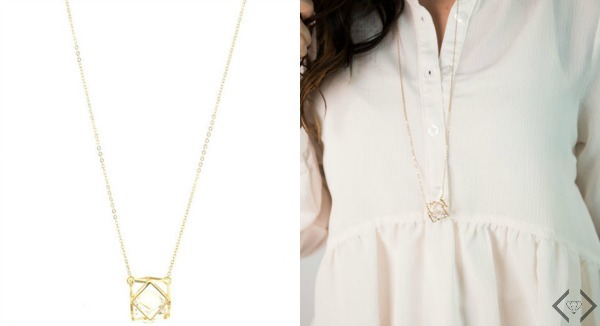 It will match every color and is a must-have caged pendant necklace for just $3.99!